Today we’re speaking with Ruth Bridger, Xorcom’s VP of Marketing to learn a little more about Xorcom, Redundancy Solutions, Video Conferencing and Xorcom Success Stories. Below is a transcription of the call. 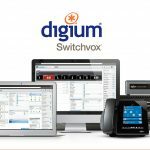 1) Given Digium’s recent announcement of their R-series redundancy solution are there any misconceptions about Xorcom’s product in the market place that you’d like to address? Well, most definitely Kathleen. I think most of the misconceptions actually are on the part of the Digium engineers. Our TwinStar Solution is field hardened. It’s been available for the last two and half years and we have so many installations around the world that I have a feeling that our partners and our end users are well aware of the advantages, the benefits, of the Xorcom TwinStar Solution. But, if I can just recap a few of the major points that need clarification as per the Digium blog that appeared in the end of the December. I would say that Xorcom has a unique solution due to our special mechanical engineering. What we’ve done is we’ve taken the telephony modules out of the server and placed them in our Astribank. All of the telephony interfaces are located in a separate chasse and that chasse is connected by USB 2.0 cable to the server and in the TwinStar configuration, there are 2 servers. There’s a primary and a backup. The fact that the telephony interfaces are separate from the server, that means that if there’s any problem, whatsoever with the server, the TwinStar, the intelligence that is located in that after bank chasse just passes all of the control and the telephony to the backup server. It happens in a matter of seconds. What this means on a mechanical level is that you don’t need to duplicate the card. I mean, in the R-series solutions, you need separate cards for each one of the servers. It is not real complete solution like the TwinStar. And that is one important point. Another important point is that we figure that anybody that needs that kind of complete PBX redundancy probably has a lot of traffic on the call side. If they want to be protected on the electrical side, as well, then they would go and purchase the redundant power supply unit that we have that can power up to 16 Astribanks. Powering the product is also not a problem, that kind of misconception that I wanted to clarify. One of the other things in the article which is bit misleading is the fact that under the hood, you have to understand that with the R-series there is a lot of responsibility placed on the actual implementer, the implementer who is to implement the R-series solution. It’s true that it is open source but on the Xorcom side, all the software and library are pre-installed. You’re purchasing a turn-key solution from Xorcom. Whereas with the Digium R-series, you have to purchase different components — USB flash drive, you have to go to a long list of software instructions in order to get the product working. I think that puts a lot of responsibility on the integrator. You have to compare the TwinStar as a commercial grade product that has passed quality insurance both on the R&D side and production. On the other hand, you have the R-series, which when the integrator takes it, he has to spend many hours doing the programming. How confident could he actually be that what he has prepared is a sound solution? That is something you have to take into account when you are putting together a resiliency solution. I think those are the main points that should be stressed. We have documented all of the issues on our blog, if anybody wants to read the kind of step by step comparison of the R-series and the TwinStar Solution. I think it would be very clear for anyone that tried to implement any kind of resiliency solution, how simple and powerful the Xorcom TwinStar Solution is. 2) Xorcom has been known for their failover solutions. Why don’t you tell us about your new Analogue Lines Fail-over Kit? Yeah, ok. This is definitely something that came directly in response to a request from the field. There are so many advantages to having an IP PBX running your telephone system. I know that there are certain, let’s say, environmental concerns. For example, if the power goes out in a building, while using old style telephony, we could always count on having that PSTN line working whether or not the lights are on. We wanted to reinstate that kind of functionality from a PBX system that knows how to work both VoIP and with the traditional PSTN. So, we created what we call the analogue lines failover kit, which would fit into any of our PBX and Astribanks that support both an FXS and an FXO module. What happens is that during the configuration of the port, you set up that 6 of the FXS extensions are for the fail over for the FXO. So, if for any reason, there is a malfunction, either after it stops working or there is a power outage then the FXO lines will automatically fail over to those predetermined FXS extensions and you will have full telephony on those extensions for the duration of the problem. 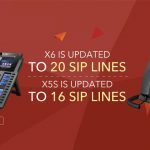 It’s just another attempt at providing the full redundancy, the absolute confidence in telephony system that businesses really require: one more offering from Xorcom to keep that up time at its highest possible level. 3) Xorcom announced a new video conferencing solution back at Astricon? When can VoIPon customers expect it to hit the market and can you give us a rundown of what they should expect? Okay. We are very excited about the video conferencing solution. There are many options on the market today. You have some very simple Skype video conferencing all the way up to these large in-room systems. What we wanted to do is we wanted to leverage the fact that we know how to do the telephony — the voice calls on our PBX and to integrate the video conferencing function in that same appliance. 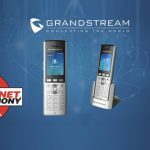 Together with a company that specialises in media processing, we have jointly produced this system: a video conferencing system that is based on the Xorcom IP PBX with the addition of the transcoding components that’s provided by this other company’s open source communication solution. As a result, we have just a very elegant and single box solution for video conferencing. We actually will offer this in two flavours. One is the integrated video conferencing capabilities inside the standard IP PBX. 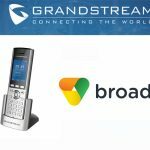 We’ll also offer the video conferencing capability as a stand-alone appliance that can be attached, much like we attach the Astribank to the server for the telephony that’s involved. When you ask about the date, we’re at our final testing stages and the first systems should be shipping towards the end of February, beginning of March. I wanted to point out, I think a lot of people are familiar with the multi-point video conferencing benefits to an organization, but I think I’m just going to run down them real quick. First of all, it makes for more cost effective meetings because you can cut down, obviously on travel expenses when you have this capability. You can improve the communication between the different participants because you have the body language; you can demonstrate different objects; you can hold them up to the camera. It promotes a better understanding of concepts and that’s important. The meetings I think are more efficient because video is much more engaging than a voice only call. You have to be a more active participant. It really plays on your attention span when you have the person that’s talking visually in front of you. You’re not distracted by perhaps answering your emails or checking your cell phone for messages if the camera’s on you. So, that’s another important point for kind of the administrative side. It’s a great tool for remote training because you can use this kind of a tool to update staff on the fly. You don’t have to make a big event out of any training session. You can just ask things, come up, train them. For customer support, it really allows you to provide that timeliness that really important to get a customer back online. You can troubleshoot the issues without necessitating online visits. That’s only on the benefits side. A lot of people ask us about the capabilities and this is for the more technical people. 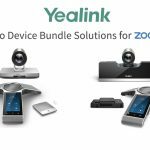 With this multi point conferencing solution you can have a single video conference with up to 10 VGA participants or two separate simultaneous conferences with up to 4 VGA participants in each conference. Or, you can have a single multi point conference with 20 participants and for HD you can have a single conference with up to 4 HD participants. That’s a little bit about the capabilities of the system and again that system; will be out in the field come late February or March. 4) I hear you’ve had some fantastically successful implementations recently involving VoIPon, such as the one at the Phones Correct Group. Can you give us a rundown of just why it was so successful and why it is so important? Well, Kathleen to tell you the truth. This is the best kind of case study for us to be able to document. It is a true vote of confidence. The customer in this case is an IT group and they are the head company for Phones Correct one of our most active resellers in the UK. My feeling is that when an expert in the field selects a product or service, you can be sure that they’ve done their homework. It’s like asking your doctor what procedure he would recommend for his own family. It’s something that is so solid with an expert in the field that you get that extra bit of confidence. That’s the case here, so we’re very pleased that our partner is using this system in house and using it in different groups with which they’re affiliated. For us it is just the supreme vote of confidence. It’s the best testimonial a manufacturer can receive. 5) What’s next for Xorcom and the market in general? Well, actually we’re going to be participating in our annual global partners meeting where we bring all of our distribution partners together, the resellers, integrators together for a meet up with personnel from our headquarters. Our CEO will be there, so well our CTO, our business managers for the different regions and bring them up to date on Xorcom product offering and the different ways to approach different vertical markets, as wells as talk amongst themselves for information exchange and networking on a more personal level. I’m really looking forward to that. This has been a VoIP Uncovered Podcast brought to you by VoIPon Solutions. For more information please visit www.voipon.co.uk.